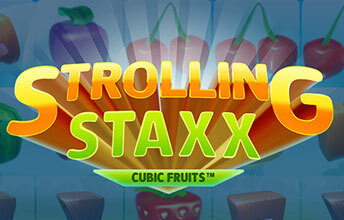 OK, we need a new theme for the next game Strolling Staxx, any ideas? Give it a break Sven. Always with the Leprechauns. What about explorers and ancient pyramids! Here’s a number for Novomatic Jonas, for God’s sake give them a call. I know, fruits! A fruit game! Are you just shouting out random shapes? No! The fruit, make them square! Like, square fruit. Oh that’s it. by God I think that’s a hit, we’re going to look like geniuses! What about the low symbols though? Ah don’t worry, just make those out of wood, nobody will notice. Decent game, it has an interesting mechanic. A square sign stands beside the reels and on the sign a symbol will appear with each spin. A Bonus bet (costing 50% of you total bet) gives you the chance to create a massive/colossal symbol on the reels to match the symbol on the sign. Once the symbol lands you’ll receive a respin feature and the reels will move to the left accompanied by pretty much the same tune that is played during the Jack and the Beanstalk Walking Wilds. It pays to economise! 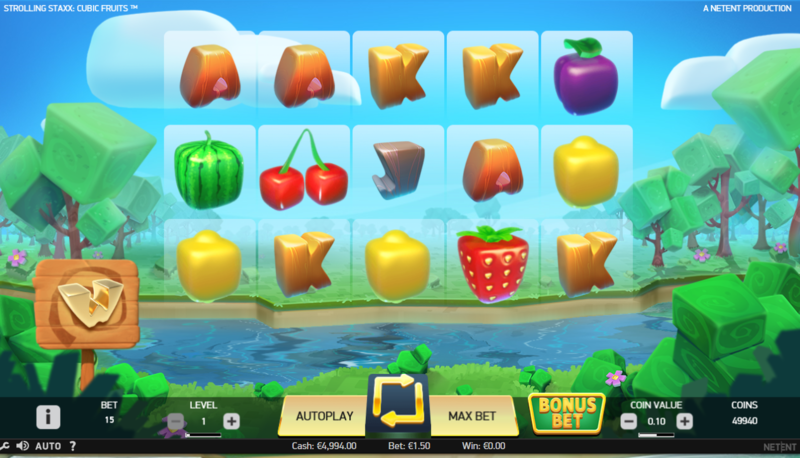 The feature will continue until you can no longer make a win on the reels with matching symbols dropping in (literally dropping in, square fruits falling from the sky into a stream it’s like they found an undiscovered Beatles track ….) . The bonus respins can last for quite a while and be pretty lucrative too. It’s a lovely mechanic and one Netent have used to good effect in the past in games like Jack Hammer (for me the best implementation of it is still in Novomatic’s Wild Horses). 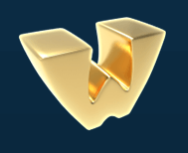 Golden Wild symbols can appear at any point, they can even appear stacked. Get a few of these beauties in your respin bonus and you’re laughing. It takes a while to really get into this game but there’s a bit of a gem here. I’ve played and played which is always a good sign. It’s a very pretty slot, the sounds are good and it has a combination of good mechanical elements from other hit games. You’re far more likely to love it than otherwise.